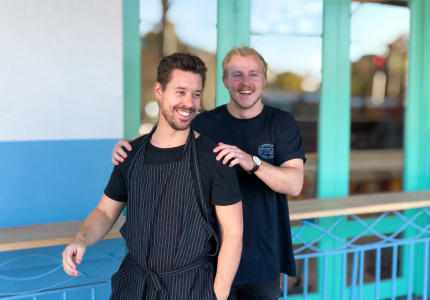 It was a holiday to Madrid that inspired husband-and-wife duo Brad and Fiona Sappenberghs to start Comida Catering Co in 2014. 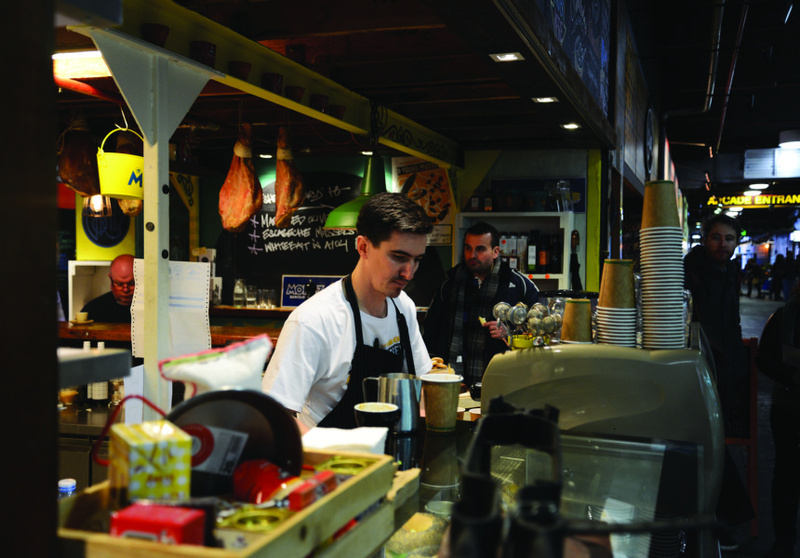 The catering-company-turned-shopfront is heaven for paella-lovers. 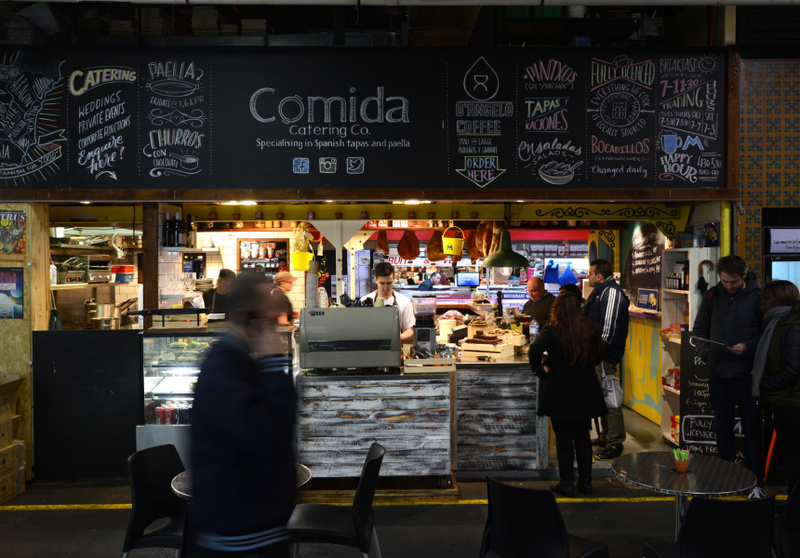 The numbers speak for themselves – Comida sells 220 serves a week at its market stall alone. Other highlights include bocadillos (sandwiches) and tortillas, as well as patatas bravas with homemade chilli jam. 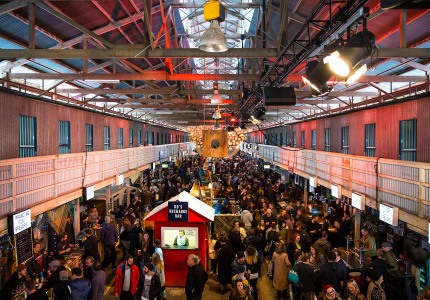 Being in the Central Markets you can expect the best seasonal and local produce used in the dishes; House of Organics and McMahons are permanent suppliers. Herbs from the family garden feature in the dishes, too. The shopfront was designed by the Sappenberghses. 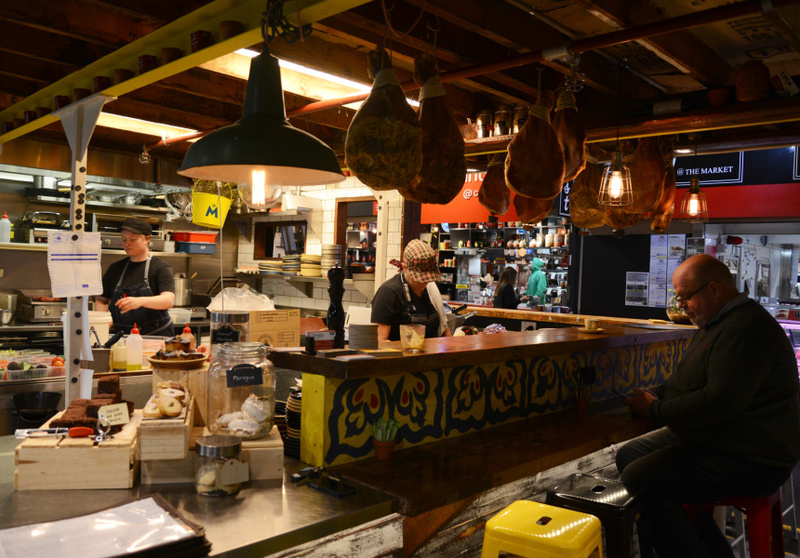 It’s covered in yellows and blues, with legs of jamon hanging from the ceiling. 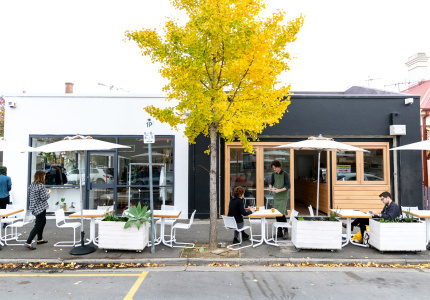 The best spot is at the bar, with a glass of vermentino or a D’Angelo espresso, for a bout of people-watching. The Sappenberghses are all for supporting South Australia, even down to the blue, clay plates from Bennetts Magill Pottery. 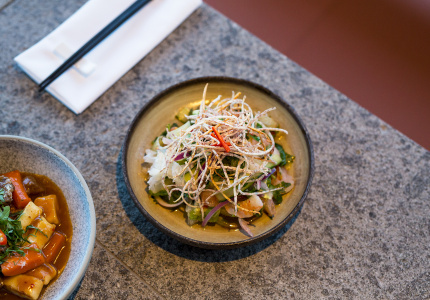 It’s easy to become part of the furniture here; chef Brad and his team make you feel at home every time you visit.